Cooling in Barbados uses a significant amount of energy, so the air conditioning system you choose has a big impact on your utility bills as well as environment. Central air conditioning has been the most common option for AC, but ductless, inverter, or split air conditioning systems are becoming more and more popular. The decision between choosing a ductless mini-split system and a conventional central air conditioning system can be challenging. In the end, the decision really depends on your current situation and preference. In this blog, we are going to review some factors to consider to help you make the right choice. 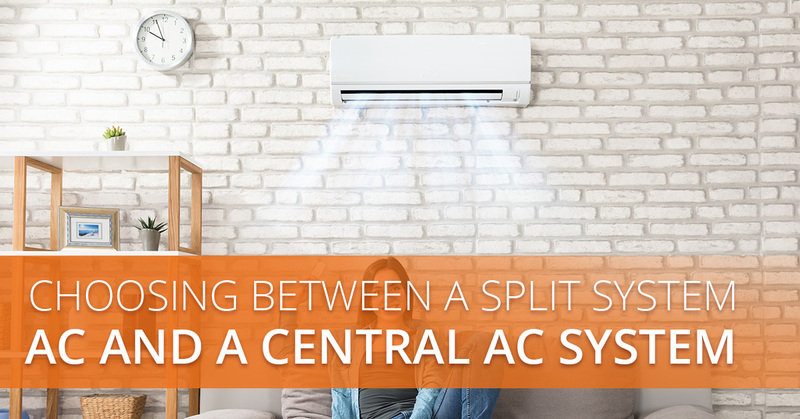 What Exactly Is A Split System Air Conditioner? A split system or duct air conditioner is quite similar to a central air conditioning system. They both consist of two units: A condenser that is placed outside of a home, and an evaporator or air handler that sits inside the home. Coolant passes between the two units, transferring inside heat to the outdoor unit where it is released. However, with central air conditioners, the cool air is sent through the air handler on your furnace into your ductwork, where it is carried and dispersed into the rest of the house. A ductless system uses a slim cable between the condenser and a box on your wall, and no ductwork is required and vents are not needed on the floor. Choosing Between A Central or Ductless Air Conditioner? Does your home already have ductwork installed? If so, it may be more cost effective to stick with central air. If you do not have any ductwork, it will likely cost less to have a ductless air conditioner installed. Additionally, installation requires significantly less construction and clean up. Ductless systems are a great choice for new additions to a home that are not connected to the ductwork that runs through the rest of the house. Are you someone that cares about aesthetics? Central AC is invisible when inside. However, a ductless system requires a slim unit to be placed on the wall. Even though many of these split system AC units are manufactured to be as sleek and stylish as possible, it is still another thing on your wall. If you are very particular about your décor, a central system may be a better choice for you, however, you will still have to have the large, bulky unit placed outside of your home. If you have a bigger home, a split system air conditioner may not be able to cool the entire area efficiently. Typically, homes larger than 2,500 sq. ft. should use central air conditioning as it will do a better job cooling the area. However, if your space is less than that, a ductless air conditioner may be the way to go. If noise is a concern of yours, ductless is the way to go. These air conditioning systems are much quieter when compared to central systems. If you are sensitive to noise, it is best to look into the noise levels of each system you are considering — some central AC systems are relatively quiet, while some ductless can be noisy. Your budget plays a significant role in choosing a ductless or central air conditioning system. A split air conditioner system will typically be more expensive than a central air conditioning system with the same capacity. However, if you need to replace your ductwork or your home does not have existing ductwork, you could potentially end up paying twice as much money for a central AC system as for a ductless system with the same capacity. This means that split air conditioning systems are ideal for new homes and new additions to existing homes. Also, they are a great way to avoid replacing old, inefficient ductwork. If the price is a factor, you can always consider financing options. Many inverter air conditioning systems are not just for blasting cool air, some are what’s called a ‘heat pump’. That means that whenever it gets cold outdoors, the system can reverse direction and bring warm air inside your home. While this is a feature you likely will not use much in an area like Barbados, it is nice to know you have it if it should ever be needed. With many central air conditioning systems, cool air needs to travel through ducts to reach the various rooms in your home. Sometimes, this causes your system to work hard and use more energy. Ductless systems are generally more efficient, meaning they can cool your home faster than central air conditioning in the same capacity. Most ductless air conditioning systems have fans that can change their speed based on temperatures inside and outside your home. Once the system reaches the desired inside temperatures, it stays on to maintain it, saving energy and preventing uncomfortable temperature fluctuations throughout your day. Additionally, split air conditioning systems with more than one indoor unit can use zoning features. Each indoor unit has its own thermostat or temperature sensors that are connected to a central thermostat. You can set a different temperature in each zone or area. This means you never have to cool an empty room, and family members in different zones can stay comfortable by setting the temperatures that they feel the most comfortable in. Lastly, when looking at SEER ratings, the best ductless systems have a higher potential energy efficiency (up to 27 SEER) than the best central AC systems (21 SEER). For many people, a ductless system is the best option as a supplement to a central air conditioning system. You can use a split air conditioning system in a new addition to the house or in a room that just feels it just is not cool enough. Ductless systems are also a good idea if your home needs new ductwork or does not have any existing ductwork at all. Choosing to replace your central air conditioning system with a ductless system will likely lead to lower utility bills will, which can eventually make up for the higher upfront cost over time. Want Ductless Air Conditioning In Barbados? 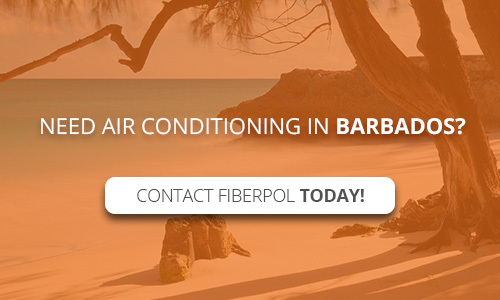 If you are interested in ductless or split air conditioning systems for your home, contact Fiberpol! As an authorized seller of Streamline air conditioning systems, we offer both central air conditioning systems as well as inverter air conditioning technology to help you escape the Barbados heat. Contact us today for more information or to schedule a free consultation.